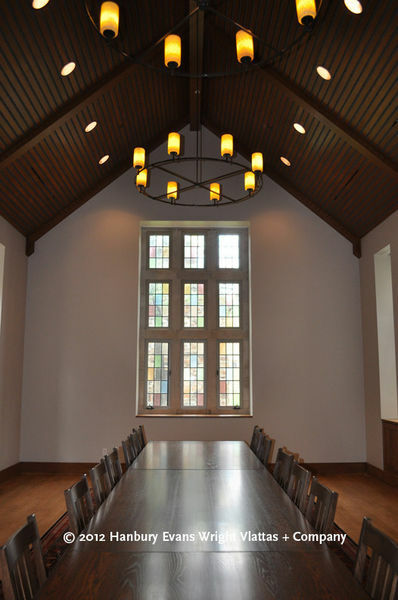 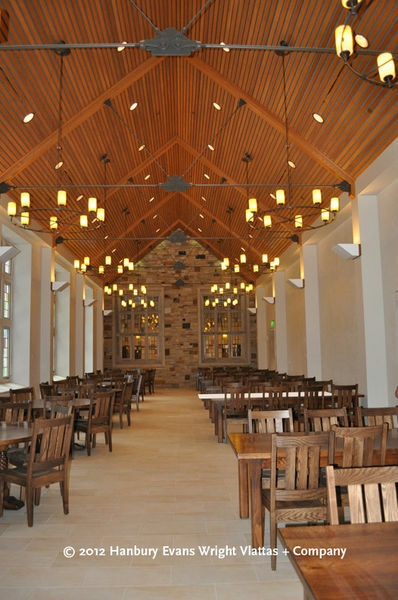 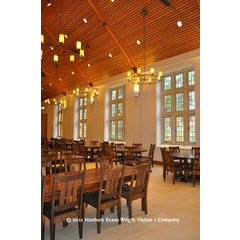 A major project for Rhodes College, Tennessee, USA with the renovation of their Catherine Burrow Refectory. 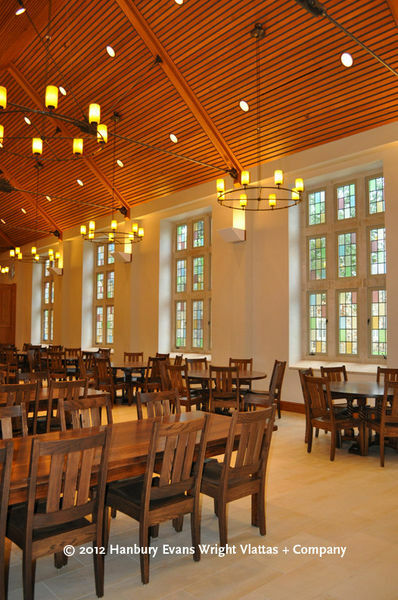 Originally built in 1925, the building has been renovated and expanded to include 19,000 square feet of additional space.The expanded Refectory includes a spacious new grand servery, fireside lounge, new kitchen, new private dining rooms and a new dining hall. 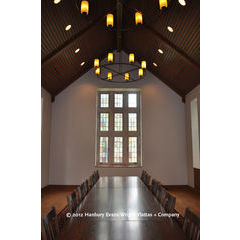 All dining tables were designed and hand made in our own workshops in Herefordshire, England utilising commercial finishing to endure the day to day useage of these table. 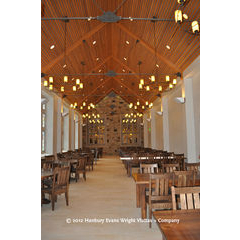 At the same time it was important not to lose that individual uniqueness of a high quality "antique in all but age" finish that was specified for the project.